Quinoa cakes that are healthy and delicious! 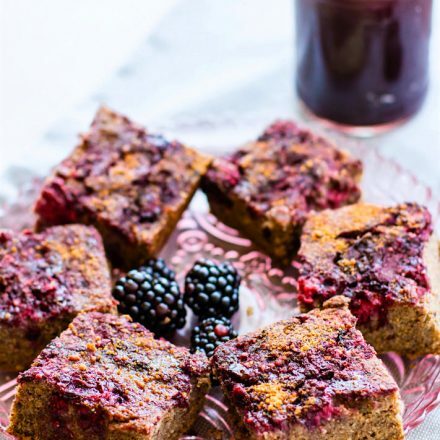 This easy blender recipe creates gluten-free cakes, bursting with blackberries and other simple, fresh ingredients. 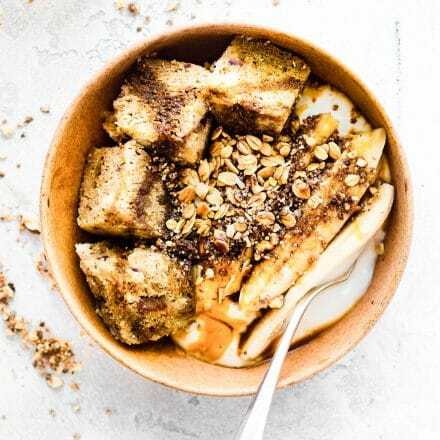 Dairy free, no refined sugar, and no oil or butter needed. They are packed with fiber and protein. 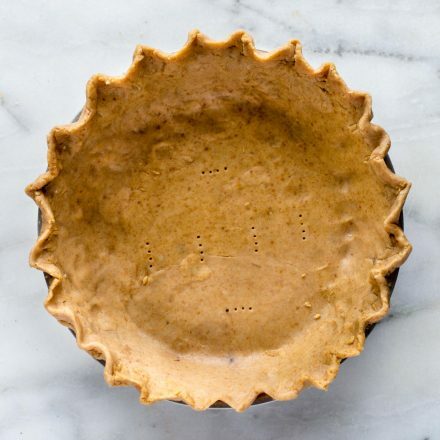 Perfect for breakfast, snacks, or desserts. Just blend and bake! 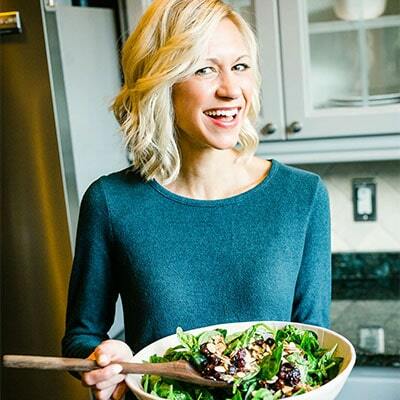 This blackberry quinoa cakes recipe creation is sponsored by my friends over at Better Body Foods! Thank you for allowing me to share their wonderful products and talk about this caring company. You see, a few years back, before the whole quinoa craze, our go-to portable snackage (remember I invented that word) was mango almond rice cakes. I also made a savory bacon rice cake recipe which was perfect for The Kiwi’s long rides. Yes, pictures are horrible but the recipes are FAB! That I can promise. 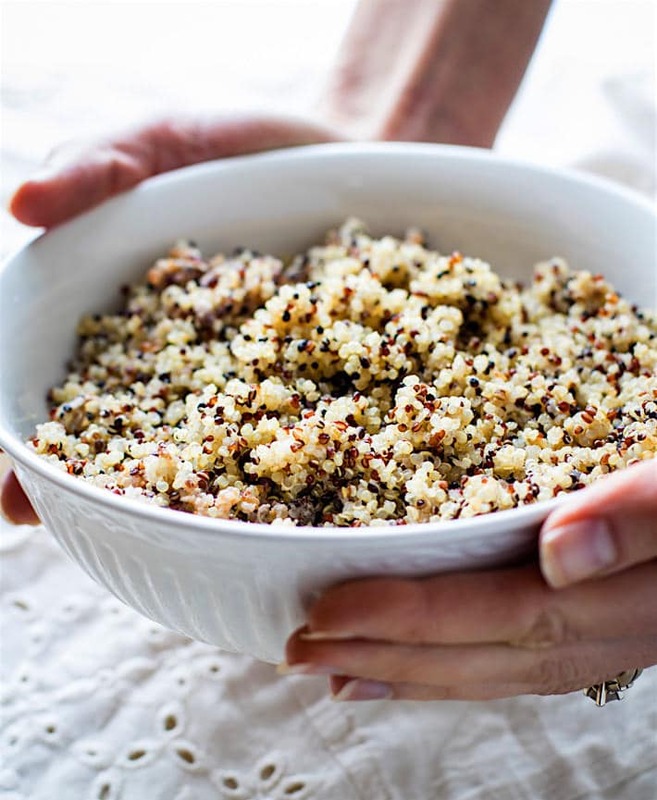 Anyway, fast forward to today and we’ve added more quinoa to our diet because (for us) it’s easy to digest, a pseudo-grain, rich in plant-based iron and protein, and pretty darn easy to make. I don’t know if you’ve noticed but we’ve definitely been switching up our gluten-free grains for this very reason. More ancients grains, like crunchy buckwheat and millet, have been on rotation in order to vary up our nutrients. This combined with a few grain-free or paleo-ish weeks has set us up for a nice balance of nourishment. Remember, its all about adding key nutrients in, seeing how you feel, then adjusting. Or in our case, rearranging. I’d also like to note that I am NOT a creature of habit when it comes to eating meals. I thrive off variety… and wine. Haha. Kidding. Kinda. Can you freeze quinoa cakes? This recipe is pretty simple, and an awesome thing about these quinoa cakes is that they freeze well. 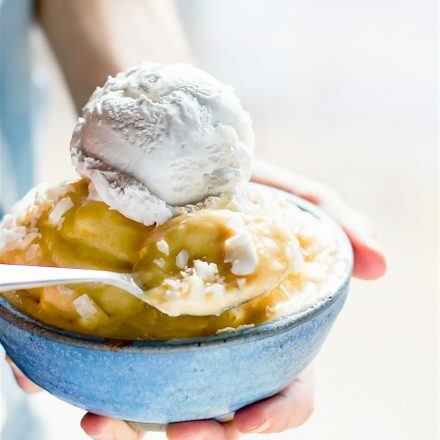 Make a big batch and freeze half of it – no problem! You can mix the blackberries in with the batter, adding jam on top, which makes them more like sticky cakes. Or, you can add the jam to the blender with the batter, then add smashed blackberries on top before baking. Kind of like tart cakes! Both methods work, it just depends on how sweet or tart you like your batter. Personally, I like the smashed berries on top. Smashing blackberries is quite therapeutic. Just sayin… Having a stressful day? Take it out on the blackberries then bake away! Quinoa cakes to the rescue. 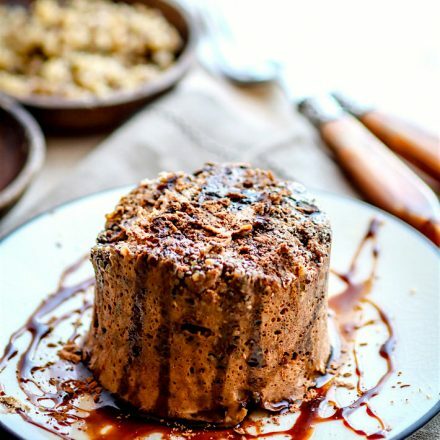 You can bake the quinoa cakes in a brownie pan or in muffin cups. If you use a muffin pan, you’ll need to adjust the baking time a wee bit. I love using Better Body Foods Organic Tri Color Quinoa because it just makes it so pretty. Well, that and I adore the nutty flavor. I also added in a few tablespoons of Better Body Foods Chia to give these quinoa cakes a little boost of healthy fats and omega 3’s! Yep, this quinoa cakes recipe is totally WINNING in the energizing fuel department ya’ll! Ok friends, grab some berries, eggs, leftover quinoa, and let’s blend up some gluten-free snackage. Mmm k? 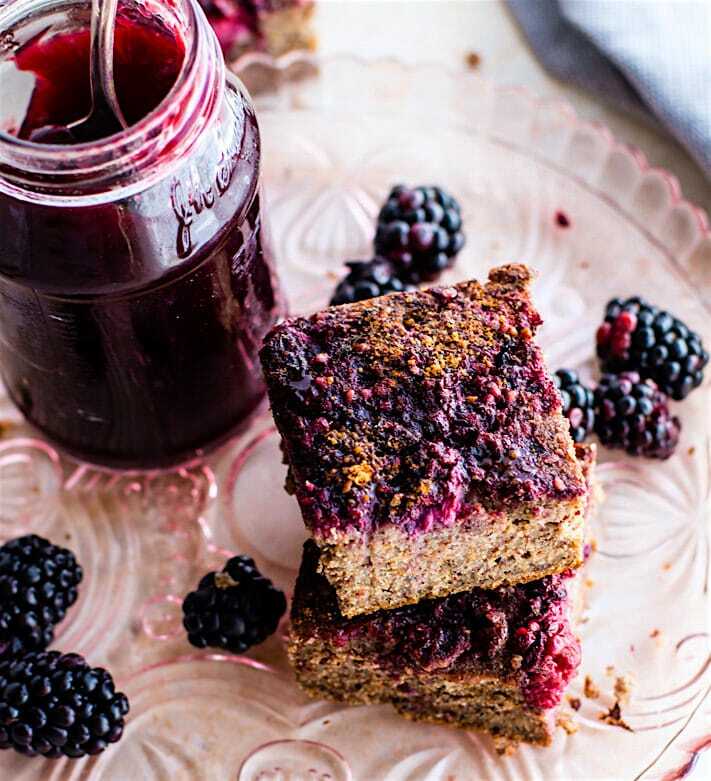 Blackberry Quinoa Cakes are made with a blender recipe! These gluten-free cakes are made with simple fresh ingredients. 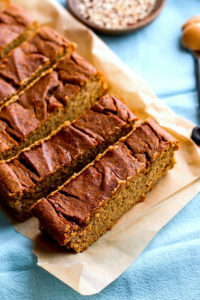 Dairy free, no refined sugar, and delicious! No oil or butter needed. Great for breakfast, snacks, or desserts. First make sure your quinoa is cooked according to instructions. 1 cup quinoa to 2 cups water equals about 3 cups. You can also use leftover quinoa. Add your first 8 ingredients into the blender. Blend on low then add in your milk, coconut flour, and chia and blend until batter is formed. Throw in handful or less of fresh blackberries to make these more purple in color. This is optional. Pour batter in to greased 8×8 pan or lined muffin cups. Set aside. next place your blackberries in a large bowl and smash them up with fork or spoons. I would wear an apron for this! haha. Pour your smashed berries on top of your batter and spread it out evenly. Place in oven for 45-50 minutes or until center is done. Be sure to check at 35 minutes just in case your oven cooks faster. Remove from oven and sprinkle on optional topping. Cinnamon and coconut or palm sugar on top. Let it cool then slice into cakes. Keep in fridge if you are not serving right away. or freeze for up to 6-8 weeks in ziplock bag. If you want these cakes to be more like a pudding/cake, just use 3 eggs and use the chia seeds. These cakes are naturally sweetened with fruit. Feel free to add more honey if you want them sweeter like cake/dessert. Keep the recommended amount of honey if you want them more like fruit/egg breakfast cakes. So what’s the last that your made from quinoa? 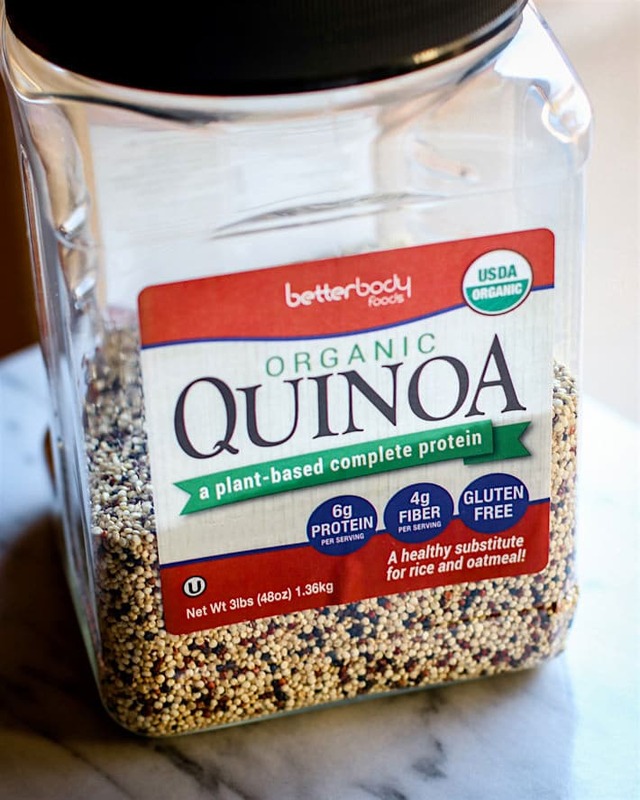 Ever blended to bake or make quinoa cakes? You know I am all about the blending and baking of the grains! Haha. Your feelings are correct! ?? These look so yum! In a big fan of quinoa in baked goods and buckwheat although that ones a bit more finicky. What a marvellous looking recipe! yep! totally will work. It’s just a binder. Just check the baking times. might cook more or less. ya know? My niece and nephew will love this…and so will I, obviously. Keep me posted! These cakes are naturally sweetened with fruit. Feel free to add more honey if you want them sweeter like cake/dessert. Keep the recommended amount of honey if you want them more like fruit/egg breakfast cakes. tough decisions. LOL! I know. I’m with you — can’t live without my blender! In fact, I’m about to go puree some fruit and coconut milk to make popsicles in my blender. Next up…these?! Blackberries are finally ripe in Virginia, so I’m going to pick some up at the market this weekend so that I can make your cakes soon! well now I want popsicles! LOL! Haha I <3 my blender and food processor too – whatever did we do without 'em? 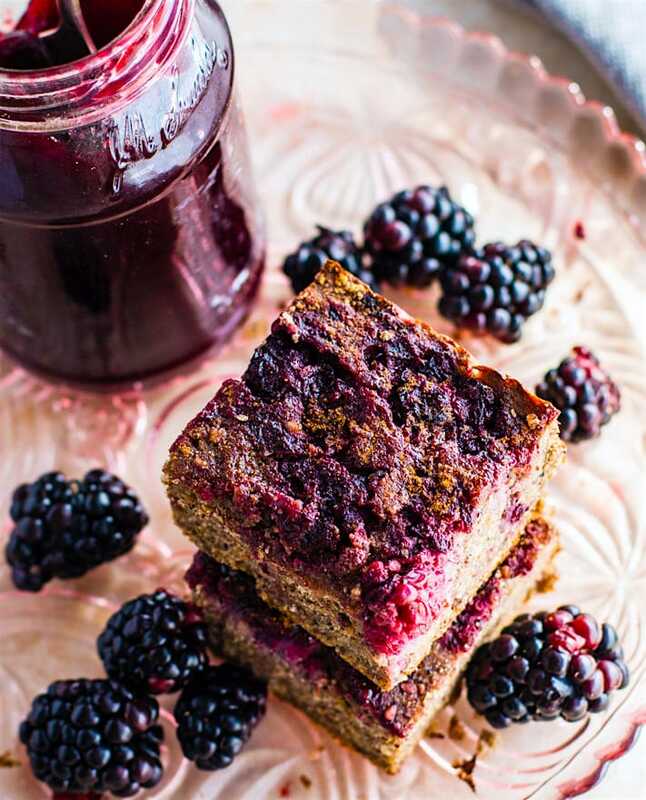 And, am thinking if I made theses blackberry quinoa cakes, I'd be asking that question too! I'm a big texture person and gosh, Lindsay, the texture of these cakes is sink-ma-teeth-into-worthy! Loving the smooshed blackberries on top! Our blender is hands down the most used gadget in our kitchen. This would be delicious made with blueberries. Strawberries too. Ohh i like how you think! I need my Vitamix and my fod processor to live. I want to make these and slather almond butter all over them. OMG you’re genius!! 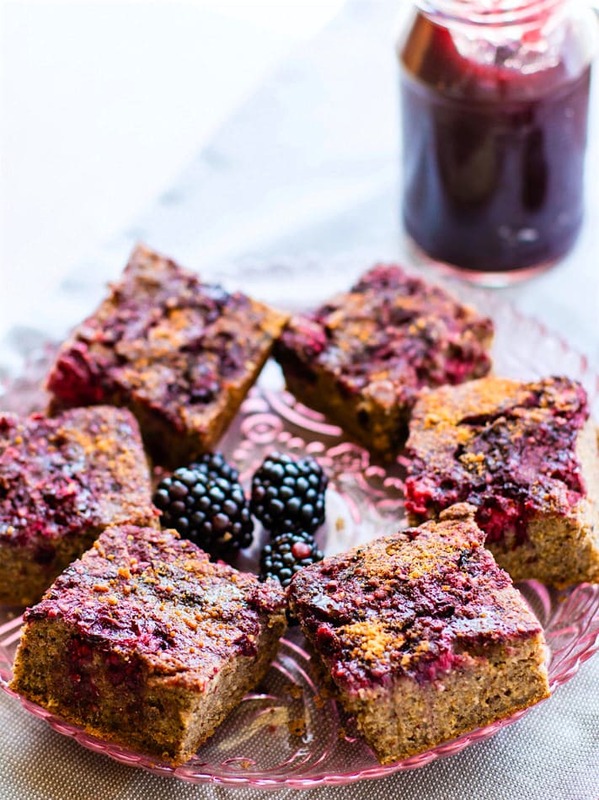 Almond butter blackberry cake party!!! amen to that! what’s this thing called mixing? LOL! My blender just broke and now my heart is broken because I really wanted to make these! My replacement blades should be here soon, but in the meantime, would a food processor suffice? Oh no! Poor you. Hope the blender gets here ASAP! But yes, totally try With food processor! Let know if you do. I LOVE LOVE our blender. You have a Vitamix right? And I completely concurred with you on all those appliances. I love our food processor a little bit better for nut butters and our Vitamix for smoothies and such. 🙂 These are the prettiest bars. I love the deep purplish blue color, but we’re out of quinoa. :'( I need to go through and find some of your recipes to mark off and make. I do! and p.s I am giving away one soon! YAY! maybe you will win! Another one I will be trying asap! I love the tanginess of blackberries! Love this combo! yea! keep me posted! ok? MEEEEEEEEEEEEEEEEEEEEEEEE and thecolor is amazing!!!!! I love portable foods-perfect for work, or the car on the way to daycare! Thanks! i so agree! love that they are grab and go! ohhh i am in love with this idea!! I’ve actually not tried to bake with blackberries but we love them so much, gotta try it. Instead of eggs you should try aquafaba! Have you yet? Ok, these blackberry quinoa cakes are worth turning my oven on for in this heat. And Austin is hot!! Amazing recipe. I seriously couldn’t live without my blender either…it’s how I make 99% of my desserts, and a life without dessert? 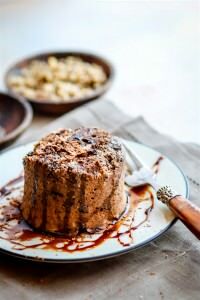 Oh puh-lease 😉 Loving the idea of using legit quinoa to make a delicious healthy dessert cake! 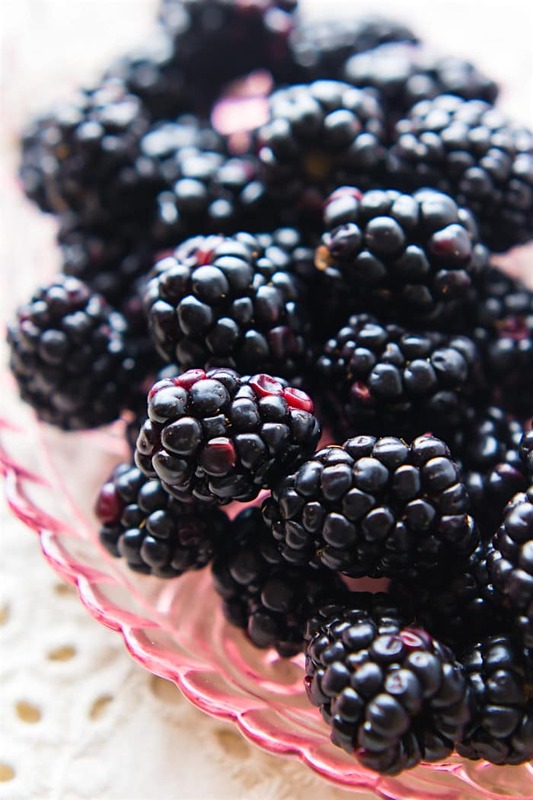 Blackberries are my everything, so I’m thinking YES to this on repeat! I just recently started using quinoa more in baked goods. I really need to use it more! These cakes look delicious! I don’t know where my cooking skills would be if I didn’t have my blender or food processor. DEAR GOD. I use it all the time!!! I would definitely use it to try these quinoa cakes! 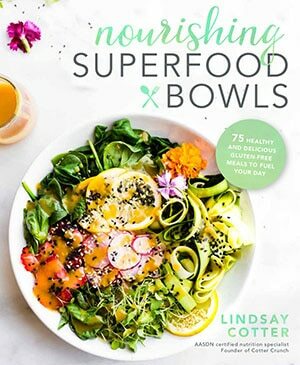 They look phenomenal–not just because there’s quinoa and blackberries! 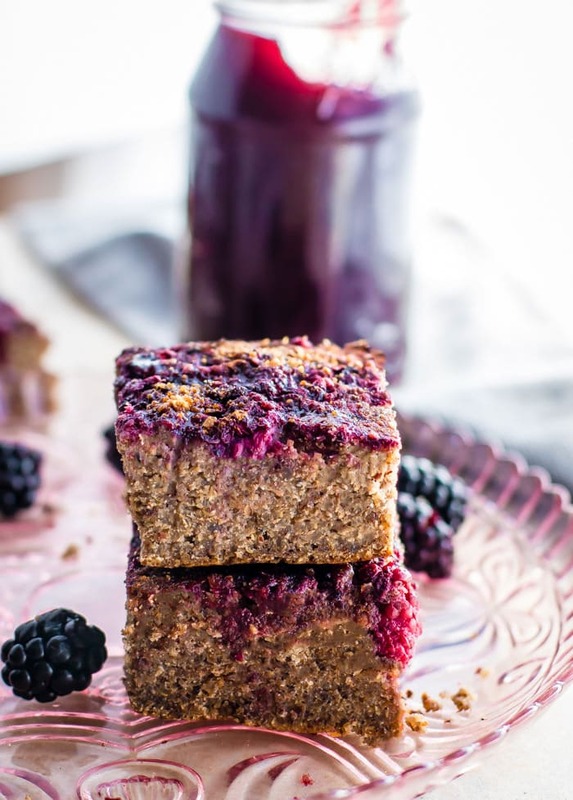 This is amazing blackberry quinoa cake recipe. These definitely should be in my recipe book and will be! Thanks a lot! This blender blackberry quinoa cakes recipe so extravagant:) I’m afraid I will not find the ingredients for this recipe!